But mainly, people come for the pizza and the prices. Let's start with the pizza. This is pub-style pizza at its finest. Soft, squishy crust is baked in a pan, and slathered with just enough sauce so the top layer of dough is almost soggy (in the best way, like when you dip baguette into the leftover jus from boeuf bourguignon). Atop the sauce is a stringy mix of cheeses -- mostly mozzarella -- that holds everything together and brings joy to giggling children as they marvel with each new slice at the long strands of molten delight. From there you could add toppings, but why would you? The cheese pizza is so satisfying that it's hard to justify throwing anything else on there. But people do, and Kay's offers a variety of toppings and specialty pizzas, including BBQ chicken and a gluten-free version. The pizza will come to you quickly, but don't hesitate in ordering an appetizer anyway. 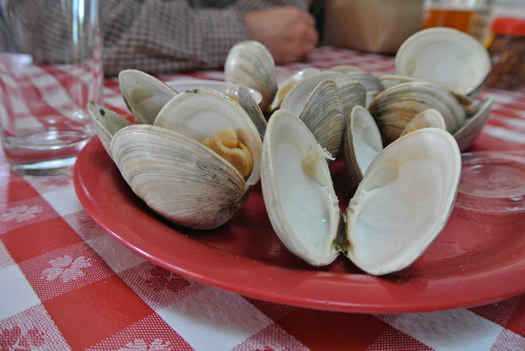 The steamed clams are sure to please, and feel especially fitting when dining waterside. The Buffalo wings are a classic, no-fuss iteration of the area menu staple but tasty nonetheless. Beer comes in pitchers with not-quite-a-pint plastic glasses that evoke that old neighborhood hangout feel. (I'm pretty sure you can order pop in pitchers, as well, which might be especially helpful if feeding a mass of hungry youngins.) And while there are plenty of two- and four-tops to accommodate smaller parties, there are long tables that somehow fit perfectly on the uneven floors. One would be hard pressed to find a more cost-friendly place to feed a group. The prices feel almost criminal and make you wonder how it is possible for the joint to stay operational. My first foray to Kay's included two pitchers of beer, two large pizzas, a basket of wings, and a basket of steamers, and the bill barely came to $60. I had to double check to make sure that everything was tallied up right. While it might be a wee bit out of the way for many, don't overlook Kay's for meetups with friends and for family nights out. 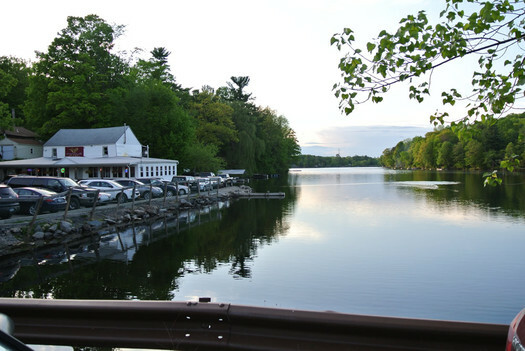 You can always swing by Moxie's in nearby Wynantskill for ice cream on the way home. Kay's is only open April through October. But don't worry, you still have 123 days left to take part in the tradition that throngs of people throughout the Capital Region have come to love. Maybe it was because I don't have the nostalgia-factor, but the one time I had their pizza (after an hour wait) - I really wasn't that impressed. Instead of driving 30 minutes and waiting, I'd rather drive five minutes and get a good Sicilian-style at Minissale's in Troy. @Danielle - I'm sorry you had that experience! I really like Kay's for all sorts of reasons. But I can see how it wouldn't be everyone's cup of tea. @Jamie - I like the sounds of that. Show up with an appetite! @Julie - awesome, thanks! I'll check it out. @Betty - All good points. I should have thought to mention that. Thanks for giving newbies the heads-up! Now i'll have to make do here with my own sauce that i froze,and Thomas english muffins. We went after reading this post and I have to say... it was just ok. While the owner did come out and talk to us. I had the perception that 1. We would be able to see the water from a deck or something outside in the restaurant when in fact it was all in an enclosed space and 2. the pizza was just ok. Thanks for the tip about the location it was beautiful to drive there from Albany. Had my first taste of Kays Pizza when I was kid in the 1950's and living on Burden Lake Road. The pizza hasn't changed in all those years. My favorite is the all meat and an order of boneless wings with a beer. Bring back the dented pizza tins though. 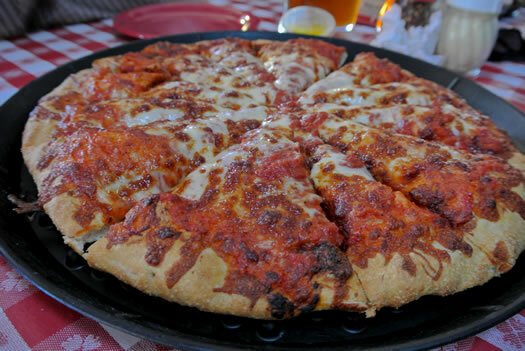 You have to try it, there is nothing that compares to Kay's pizza! 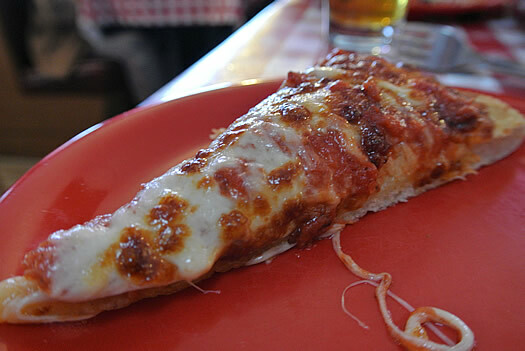 Kay's Pizza is more than a childhood memory for me, it is "the" memory. My mother "Frannie" worked there for over 35 years. She was often asked if she was "Kay" by new customers that did not know the restaurant's history. Growing up we did not dine at Kay's but the pizza was brought home regularly. My mother worked until closing most nights so we ate the pizza the next day unless it was the weekend then we anxiously waited for its arrival. My mother has passed and we now visit Kay's regularly. Just the aroma of Kay's triggers memories, it was a second perfume on my mother along with Estee Lauders Beautiful. The older waitresses know who we are and greet us like family. 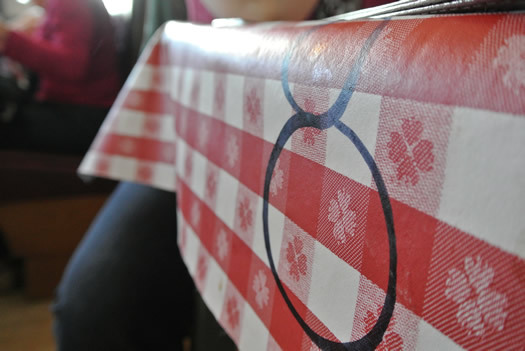 Just recently during one of our visits, we were seated at a large table with other customers. They overheard my conversation with the waitress about my mother. They began to tell me their own fond memories of my mother and that they have been going there for years. Then as we were leaving almost every table stopped us to tell us how much they loved "Frannie". This place rocks . only been there once but best pizza I have ever had and the workers are the best fast and polite even if I had to weight about an hour to get my table the service was really fast and just on top of things and the pizza wow , great little place to go just go early on after 5 the place just hops with all kinds of ppl , great place to go after the races on a Saturday night for a cold beer and some good food . this guy will be back again soon and with some new ppl to enjoy this awesome place . When it gets busy, you now get seated at Kays and don't have to run for your table anymore. Go and check it out. Featured pizza of the week Mac and Cheese. Its awesome.